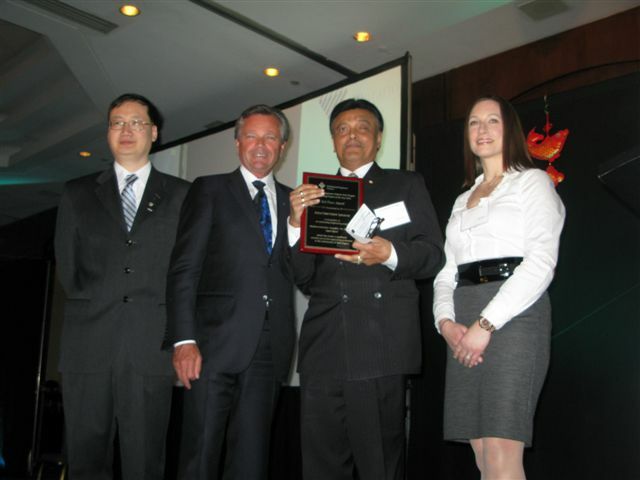 Sartrex Power Control Systems would like to thank the York Chapter of the Professional Engineers of Ontario for recognizing us as finalists in the “York Region Engineering Project of the Year Award” for 2012. We would also like to recognize the other finalists Advanced Micro Devices (AMD) and Chisholm, Fleming & Associates for their excellent contribution to York Region and to the engineering profession. 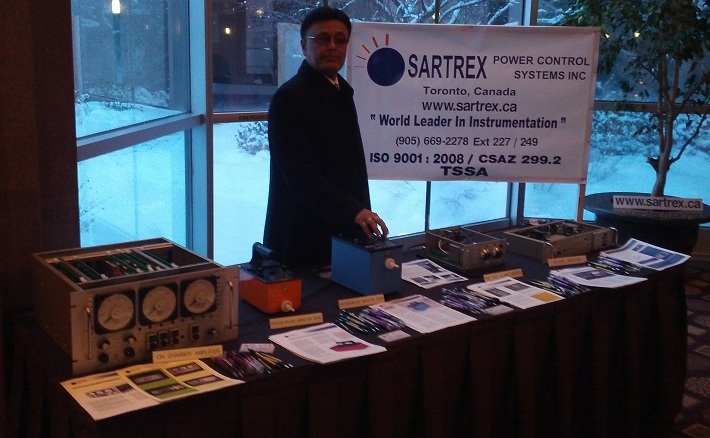 Sartrex’s project was presented to a panel of seven members of the York Chapter of PEO on Feburary 9th, 2013 at the Markham Convergence Centre. After the project was presented, Sartrex and the PEO members had an informative discussion on the project, nuclear industry, and additional business opportunities within Canada. 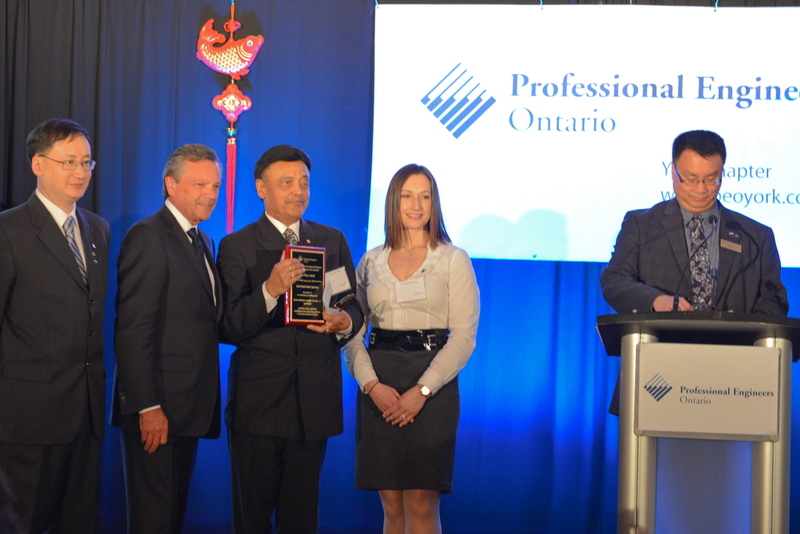 The award ceremony coincided with the 2013 PEO York Chapter Winter Certificate Ceremony and Annual General Meeting which was held at the Hilton Suites Toronto/ Markham Hotel on February 16th, 2013. Sartrex’s project submission was related to Safety Shutdown System 1 for CANDU 6 reactors. Building from past experience, Sartrex successfully designed and qualified four modules required for this safety system. One of the modules, NimBin Power Supply, had to be completely designed from the ground up, ensuring that stable and continuous power is being supplied. Another challenge overcome by Sartrex was stricter qualifications that have been imposed by our customer. These qualifications have been tightened in the wake of the Fukushima incident as well as lessons learned over the previous years of operation. Two examples of changes in qualification are Seismic Qualification after modules have been aged to end of life and Noise Immunity test on the input signal of the amplifier module. Additional qualification requirements reduced allowable tolerances requiring additional improvements to design and shielding to pass. Sartrex Power Control Systems wants to wish the recipients at the 2013 PEO York Chapter Winter Certificate Ceremony all the best in their future endeavours and to strive for innovation and excellence throughout their careers.